Okay, I decided to jump onto the altered landscape bandwagon when I saw this photo opportunity unfold before my eyes. If find it so annoying that up until recently, this place was covered in trees, lots of them in fact and now they have all been removed to make way for ‘development’. I guess that its just a part of life but I really wish we would respect the Earth even if it was just a little more. This entry was posted in australian landscape photography and tagged altered landscape, australian landscape photography, australian photographer, landscape photography. Hear hear Jamie! Agree with you 100%. 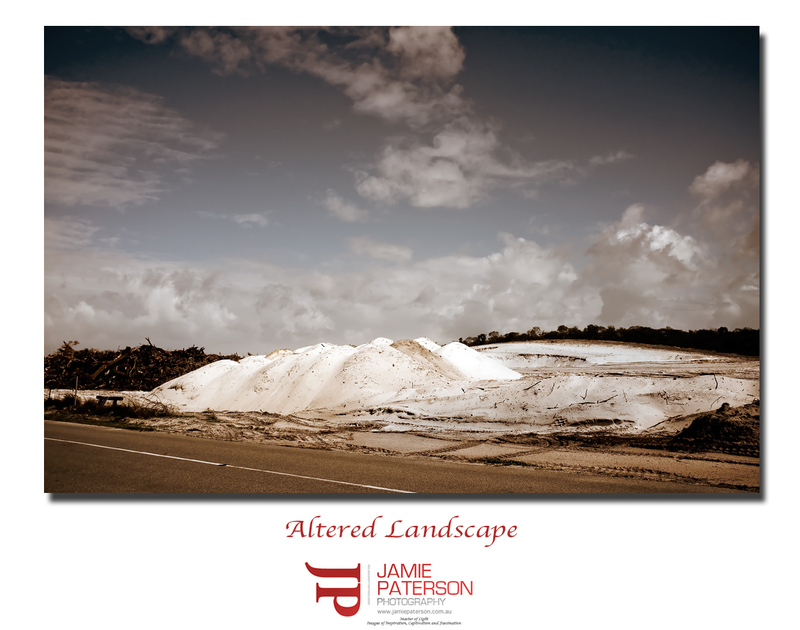 That is a real Altered Landscape! Hi Tim. Thanks for that mate. This created a huge loss of habitat for the local fauna.